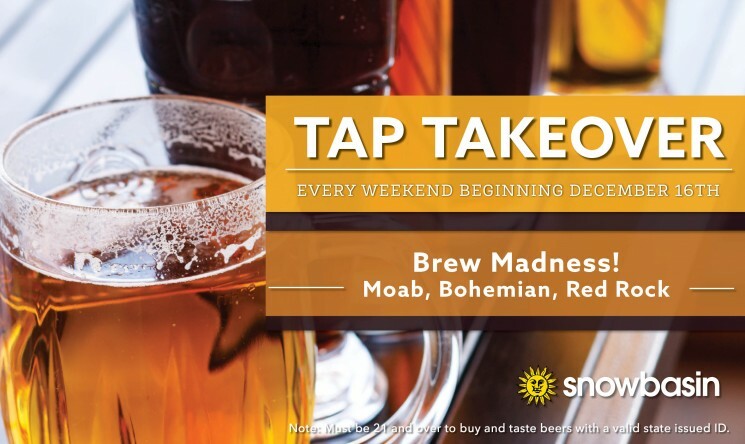 Tap Takeover Brew Madness with Moab Brewery, Bohemian Brewery, and Red Rock Brewing Co. This weekend we will have Moab Brewery, Bohemian Brewery, and Reck Rock Brewing Co. here sharing their beers with us on Ear's Patio. 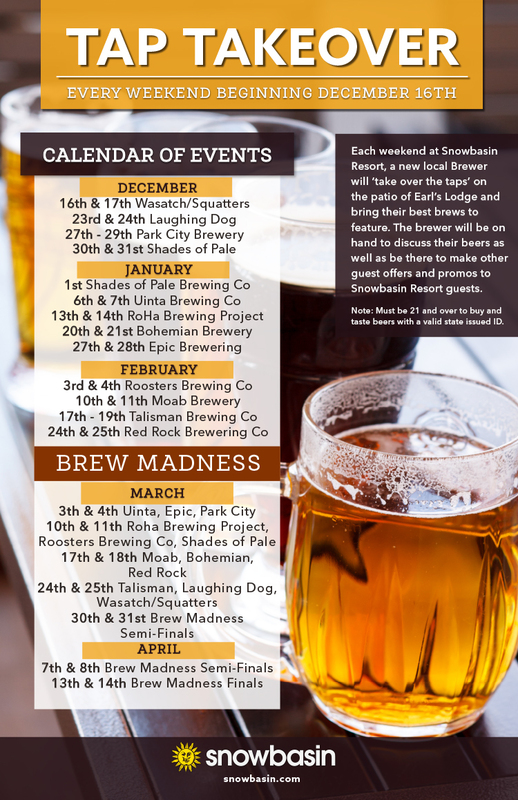 Take a break from the slopes, soak in the sunshine and enjoy some local beers. Vote for your favorite brewery to send them to the semi-finals on April 7 and 8.